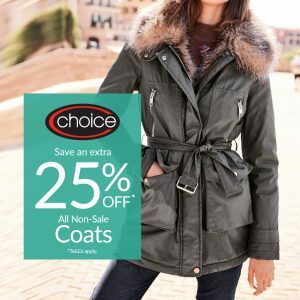 25% off all non-sale coats at Choice Stores. This includes women’s, men’s and kids. Choice offer up to 70% off the original retail price on brilliant brands, so this is a further 25% off!